The basic components of concrete are cement, sand, aggregates and water. But often, other additional substances or material are added into these ingredients for preparing the concrete to alter the properties of fresh as well as hardened concrete. The purpose of these additional substances or materials is to improve the quality and modification of the properties of the concrete. These substances/materials are known as concrete admixtures. There are various types of chemical admixtures that we have already discussed in our previous articles such as concrete accelerators, concrete retarders, plasticizers, superplasticizers, air entraining admixtures etc. Here we will discuss pozzolanic or mineral admixtures. What are the mineral admixtures? How can they be used in the concrete and what is their effect on concrete properties? Pozzolanic or Mineral admixtures refer to the finely divided materials which are added to obtain specific engineering properties of cement mortar/concrete. Mineral admixtures are not only the inert fillers but they actually react (hydrate) along with the cement, hence they are also called ‘Supplementary Cementing Materials’. 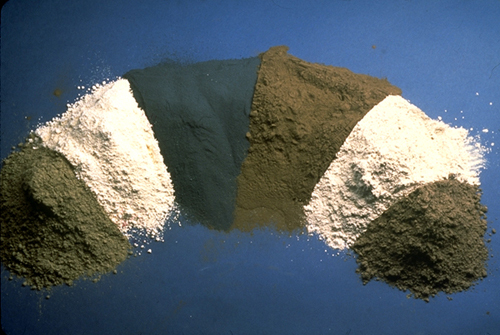 Pozzolanic or Mineral admixtures are basically derived from other substances, not chemically manufactured. Popular examples of mineral admixtures are silica fume, fly ash, blast furnace slag etc. Mineral admixtures have different roles to play in the concrete mix and enhance various properties of the concrete. Also Read: What are the Properties of Cement? Mineral admixtures can modify the concrete properties in the plastic state as well as in the hardened state. Improve resistance to thermal shrinkage and thermal cracking etc. One can say that the pozzolanic or mineral materials are an ancient construction material. Ancient Greeks and Romans used certain finely divided siliceous materials in their construction of aqueducts, arch, bridges etc. When it was mixed with lime, it produced strong cementing material having hydraulic properties. How the Name Pozzolanic Came? One such material was consolidated volcanic ash or tuff which was found near Pozzuoli (Italy) near Vesuvius. After that, this came to be designated as Pozzuolana a general term covering similar materials of volcanic origin found in other deposits in Italy, France and Spain. Later, the term pozzolan was used throughout Europe to indicate any materials without considering of its origin which possessed similar properties like such volcanic ash or tuff. How Can One Say Whether Mineral Admixtures are Eco-Friendly and Inexpensive? As we know concrete is made using of cement, sand, aggregate and water. Many industrial processes, such as the manufacture of iron and steel or even the semiconductor industry, where the burning of coal create large amounts of waste byproducts that have to transported away and stored in landfills or have a disposal problem. So why not add them in concrete instead? The best part is these materials are not only the inert fillers, but they become reacher in presence of lime and therefore they actually react (hydrate) along with the cement. Hence, they replace the cement partially. However, they don’t replace the aggregate because these particles are generally too fine and small. Thus, by using less amount of cement in the concrete, the total energy cost and CO2 emissions and cost associated with the concrete can be decreased. Therefore, the utilization of mineral admixtures leads to a considerable saving in cost and energy consumption. Artificial pozzolanic material such as fly ash, meta kaolin, rice husk ash, silica fume, ground granulated blast furnace slag etc. are such kinds of material. So pozzolanic or mineral material make concrete that is as inexpensive and Eco-friendly. How Can Mineral Admixtures be Added in the Concrete? The pozzolanic or mineral admixtures are generally added as partial replacement of the portland cement according to weight of cement. Fly ash is also known as a pulverized-fuel ash. Fly ash is the residual form which is obtained by precipitated electrostatic ally/mechanically from the exhaust gases of coal-fire station. Fly ash has a specific surface area 250 to 600 m2/kg and cement has specific surface area 225 m2/kg. Hence, the fly ash particles are finer than cement particles and spherical. The color of fly ash is light grey to dark grey. Nowadays fly ash has become the more common ingredient for making high strength and high-performance concrete. It is commonly used in mass concreting i.e. dams, retaining walls etc. Silica fume is also recognized as micro-silica or condensed silica fume. Silica fume is the product resulting from reduction of high purity quartz with coal in an electric arc furnace during the manufacture of silicon or ferrosilicon alloy. Silica fume is very fine material with particle size less than 1 micron and with an average diameter of particle is about 0.1 micron, It’s about 100 times smaller than average cement particles. It has specific surface area of about 20,000 m2/kg. The use of silica fume in conjunction with super-plasticizer has played the major role in modern high-performance concrete. Rice husk ash is a product which is obtained by burning rice husk in a controlled manner without causing environmental pollution. Rice husk ash has high SiO2 content when it is properly burnt. Rice husk ash shows high pozzolanic characteristics and contributes to high strength and high impermeability of concrete. Metakaolin is the unpurified thermally activated ordinary clay and kaolin clay. Metakaolin is not highly reactive pozzolanic material, but it shows high pozzolanic reactivity after removing unreactive impurities by water process. The colour of metakaolin is white or cream. With metakaolin, cement paste undergoes distinct densification and it helps to increases the strength and decreases the permeability. In India, Surkhi, was and is the commonest pozzolanic material. It has been used along with lime in many of old Indian structures before modern portland cement was used. Nowadays the terminology “calcinedclay Pozzolana” is used instead of the word surkhi. Surkhi is an artificial pozzolanic material which is made by powdering bricks or burnt clay balls. For large scale production of surkhi, clay balls are specially burnt and then powdered. Surkhi is a very complex material and differs widely in its qualities and performances by its nature. 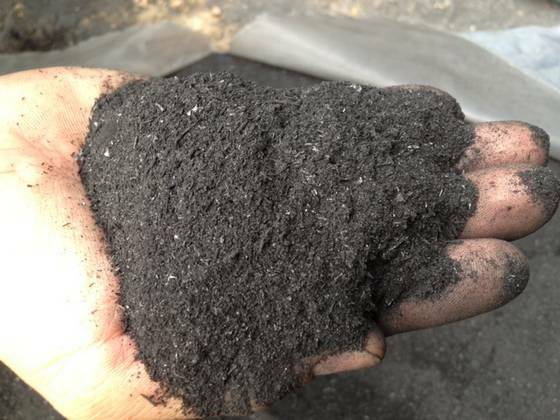 Its characteristics are greatly influenced by the constituent mineral composition of soil because it is derived from the soil and is also influenced by the degree of burning and fineness of grinding. Surkhi was one of the main ingredients in waterproofing treatments in combination with lime and sometimes even with cement for extending valuable pozzolanic action to make the treatment impervious. Ground granulated blast furnace slag (GGBS) is obtained as a byproduct from the blast furnaces used to make iron. Ground granulated blast furnace slag (GGBS) is a nonmetallic material which is consist of silicates and aluminates of calcium and other bases. The size of its particles is less than 45 microns and specific surface area is about 400 to 600 m2/ kg. Thus, the use of pozzolanic or mineral admixtures in concrete can modify the properties of concrete and also has make high performance concrete. Apart from it, use of mineral admixtures makes concrete economical. And gives environmentally safe recycling of industrial, agricultural and other waste by-products. In fact, the disposal of the byproduct like fly ash in coal plant as coal-based power station is the major problem. Hence the use of byproduct as a supplementary cementing material has proved most efficient way for disposal or recycling of byproducts which otherwise pollute environment. Thus, on one hand it helps in reducing pollution, on the other hand it saves cost and add value/strength to cement/concrete. Previous PostPrevious 40+ Masonry Tools Used in Masonry Work of Your Home! Next PostNext 10+ Fire-Resistant Building Materials to Use during Construction of your Home!